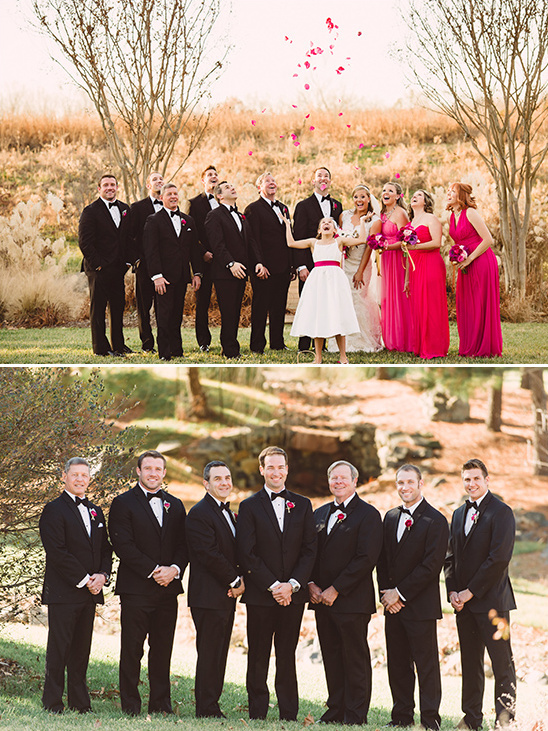 Devyn and Kyle both work in the racing industry, so planning their nuptials during their off-season was a must. 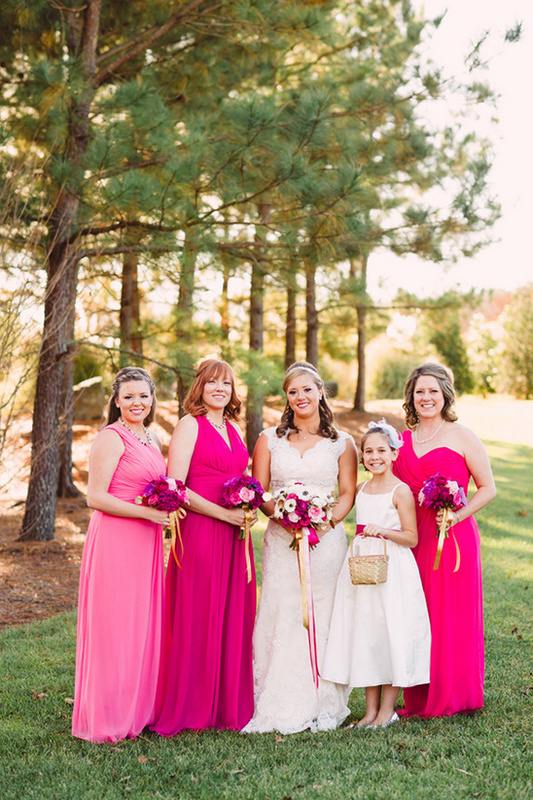 They wanted a wedding unlike any other and selected a color palette of pinks and gold as a starting point. 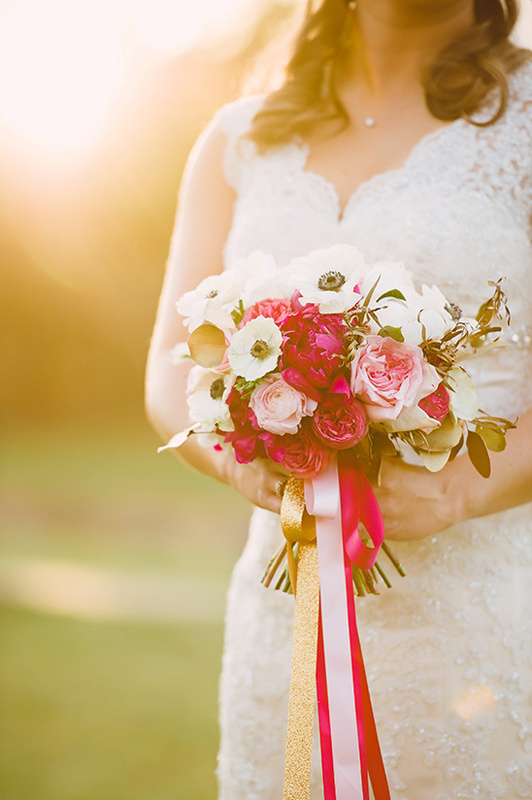 Every part of their day included some shimmer or sparkles, from the shimmering bouquet wraps down to the sparkling streamer send off at the end of the night. 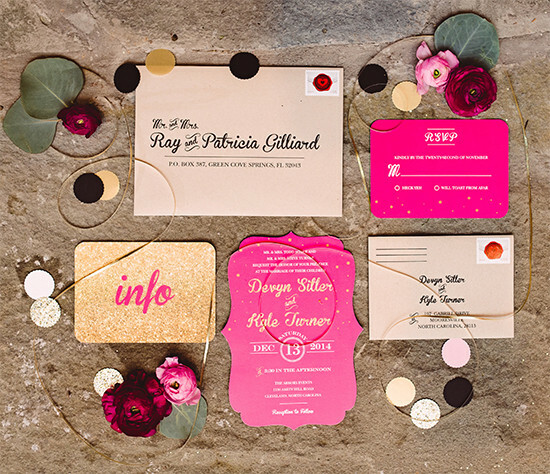 Scoop up even more of these delightful let love sparkle wedding ideas in the full gallery here, photographed by Crystal Stokes Photography. My mom and I went dress shopping together and found the dress at our first stop. 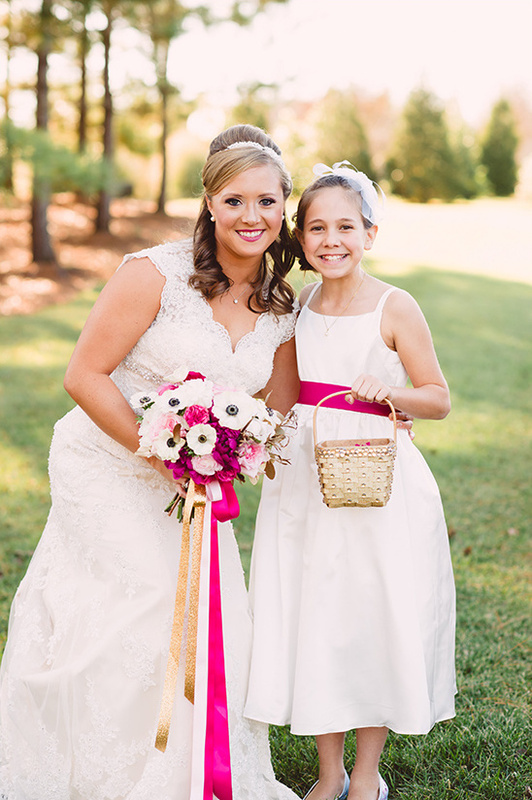 I wish we had continued that day to our other appointments instead of stopping. Not to choose another dress but for the experience. There aren't many times in life you get to try on gorgeous dresses! 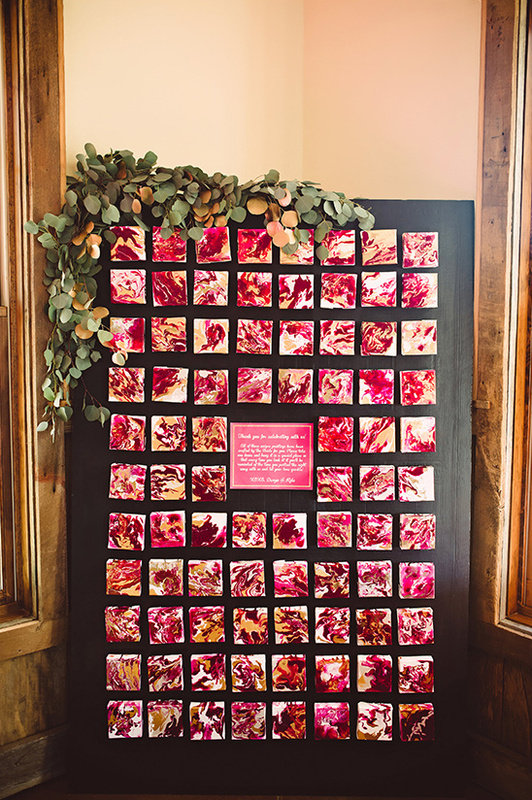 My other regret is worrying about how much fun everyone else was having during our reception. I wanted everyone else to enjoy themselves so much that I forgot to have fun myself! 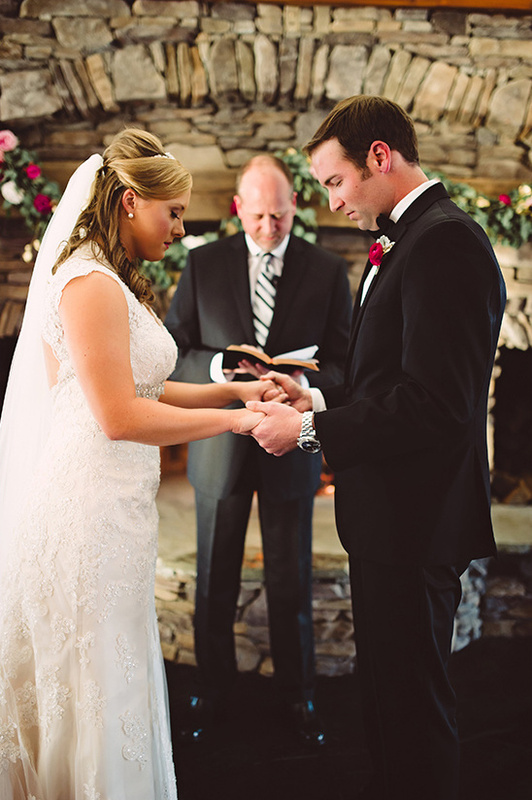 I use the word regret loosely too, our wedding was fun! 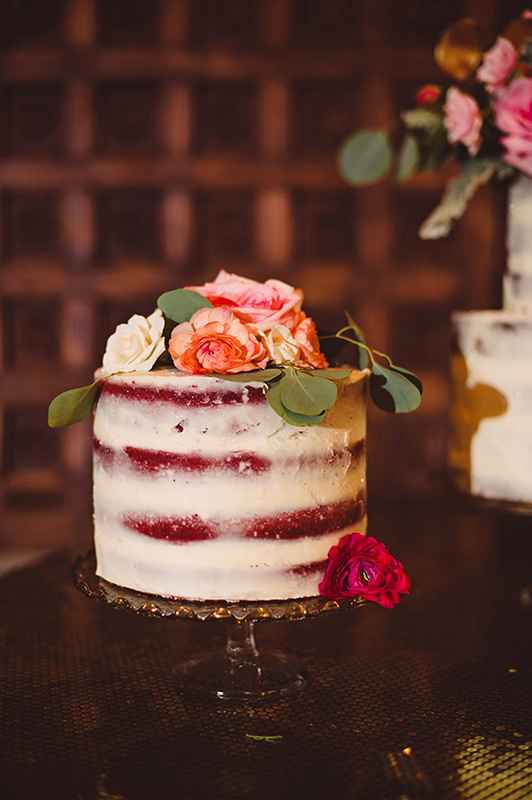 The venue offered two buildings which allowed the couple to hold their ceremony and cocktail hour inside one cozy space then transport their guests over to the final location overlooking a three acre pond for the reception. 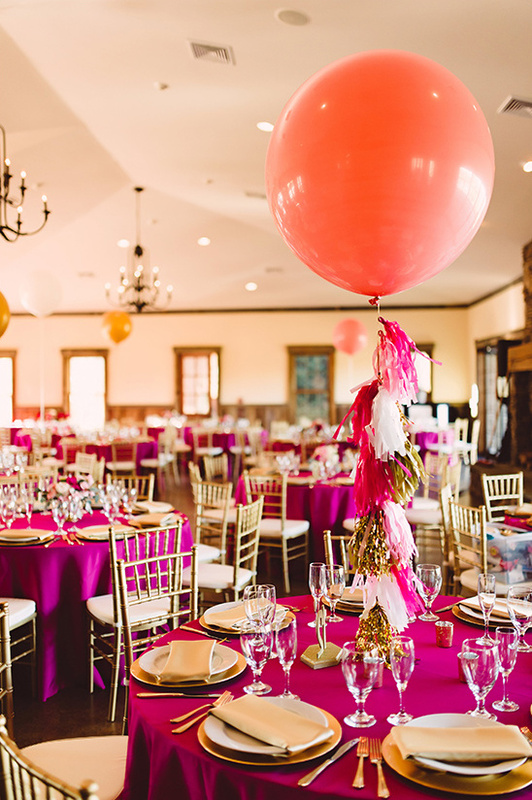 When guests entered they were greeted by tables topped with a mix of over-sized balloons with fringed tassels and golden urns filled with various shades of pink roses, ranunculus, lambs ear, and hand-painted gold eucalyptus among others. 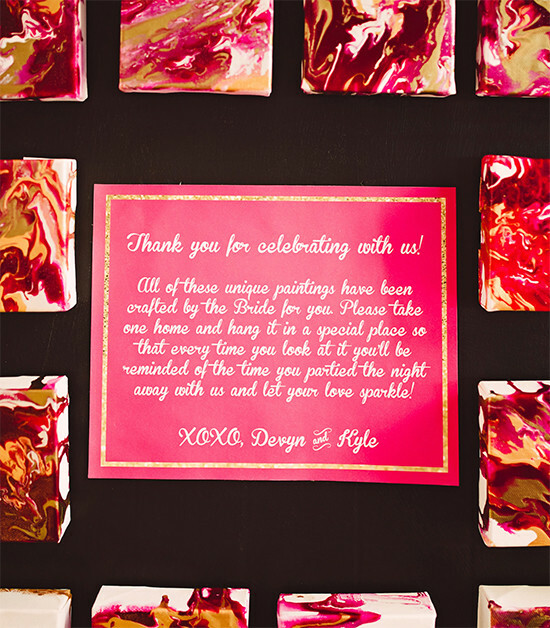 The bride hand-dipped marbleized miniature paintings for each guest as favors. 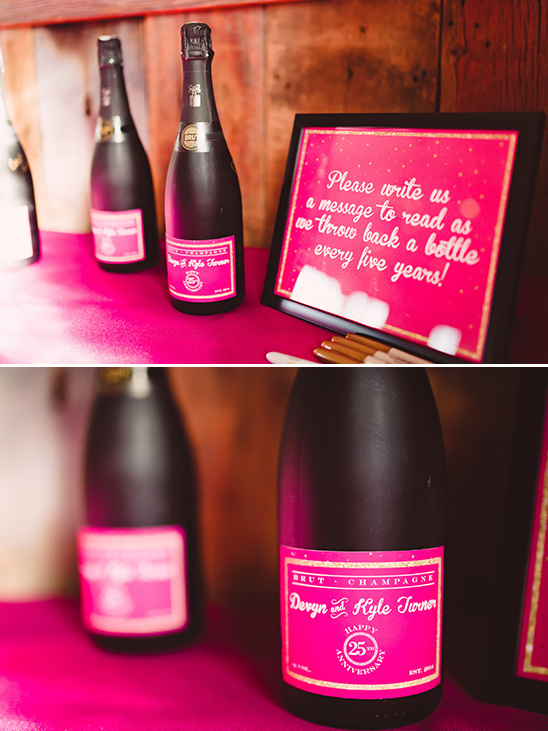 Guests also signed five champagne bottles to serve as guest books; each bottle representing a milestone in the newlyweds' marriage. 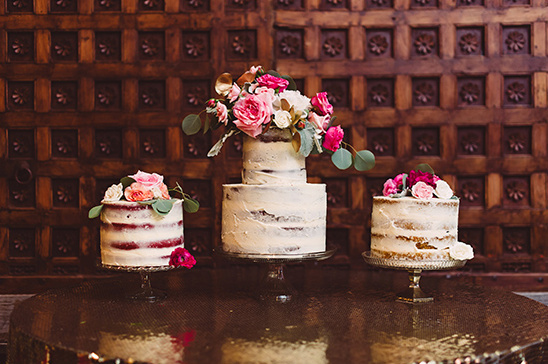 A trio of naked cakes topped with floral clusters and greenery offered a sweet treat for guests after they were cut. 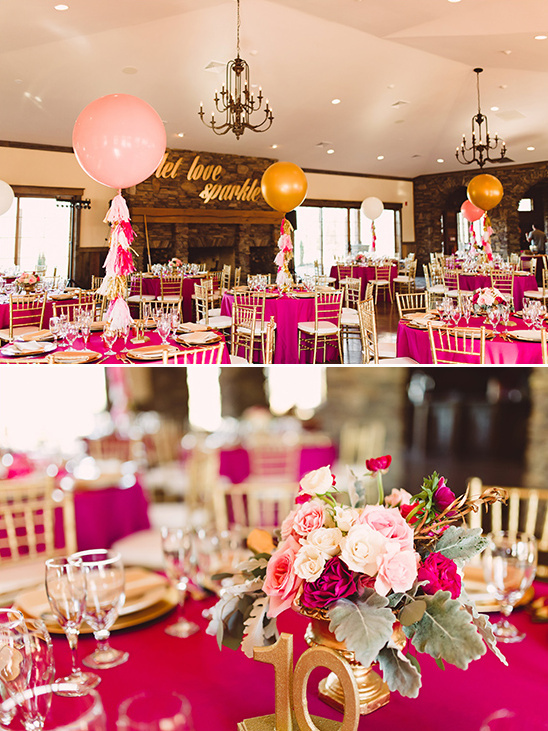 A glittering gold sign reading "let love sparkle" decorated the large stone space above the mantle. 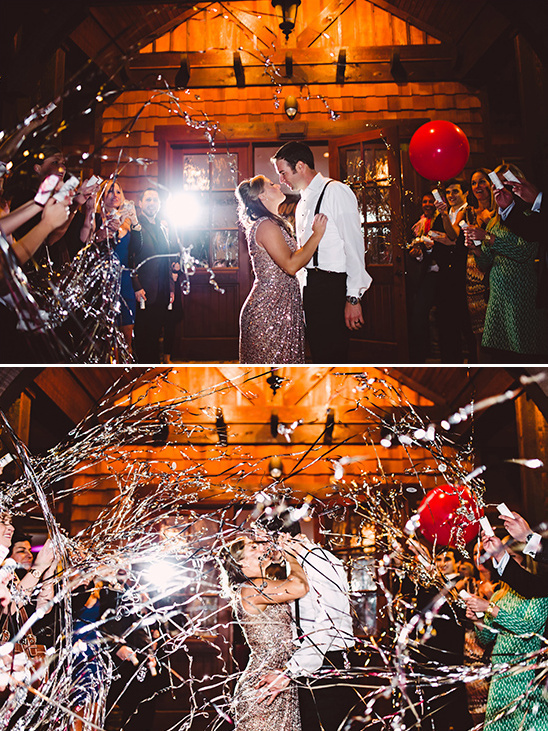 Letting love sparkle was a common theme throughout the entire design including Devyn and Kyle's exit which consisted of sparkling streamers covering them as they ran through a cheering crowd. 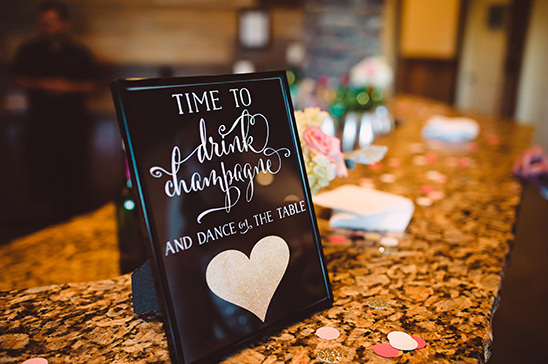 We love seeing our free printables in action and think our Time To Drink Champagne Free Printable fit beautifully into this couples big day. 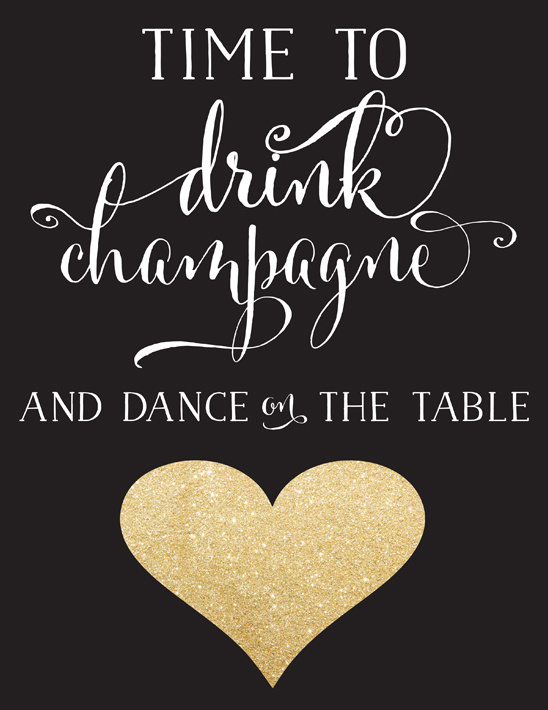 Find this printable (and some awesome champagne cocktail recipes!) when you click here.